Do you know how much money you could be making? Use the tools provided below to find in-depth wage information by job title. Know from the start what you can expect to earn before you start down a career path. This site provides salary information for more than 800 different jobs. 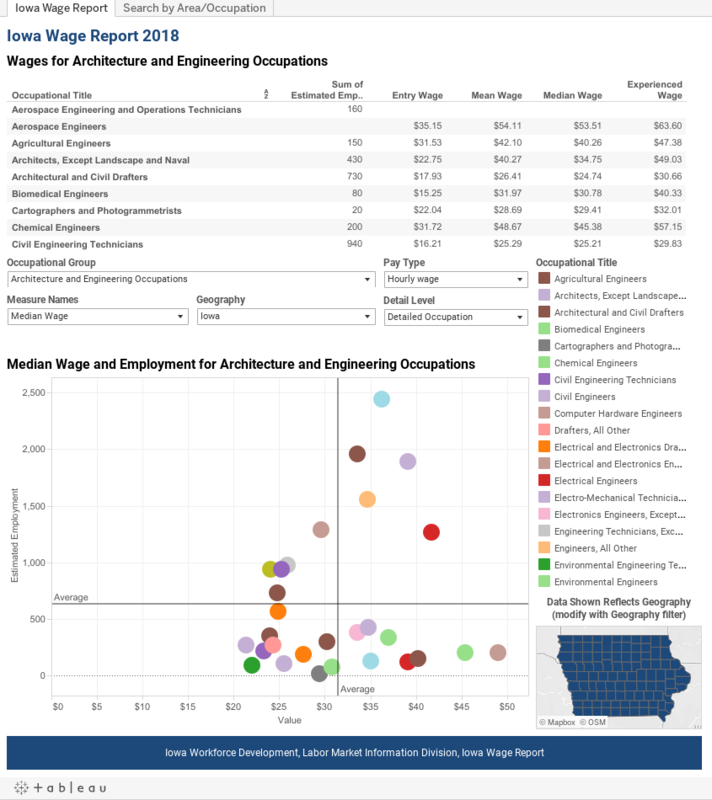 Use the interactive table below to look up wage information by job title for the State of Iowa as well as for several different geographic areas. The filters allow you to select the occupation and the area. Navigate the charts and tables by using the two tabs at the top of the frame. Customize your view by applying various filters located within the visualization. For instance, by changing the occupational group, occupational title or pay type the data shown will update based on your selections. The tables can be sorted by hovering over the column headings and clicking the icon that appears. Data is also available in a CSV file and a series of Excel files available at the bottom of Iowa Wage Report home page.